Carmelo Anthony’s partnership with Jordan Brand has brought us many great Melo sneakers over the years. However, one stands out above the rest for its clean look and classic styling. 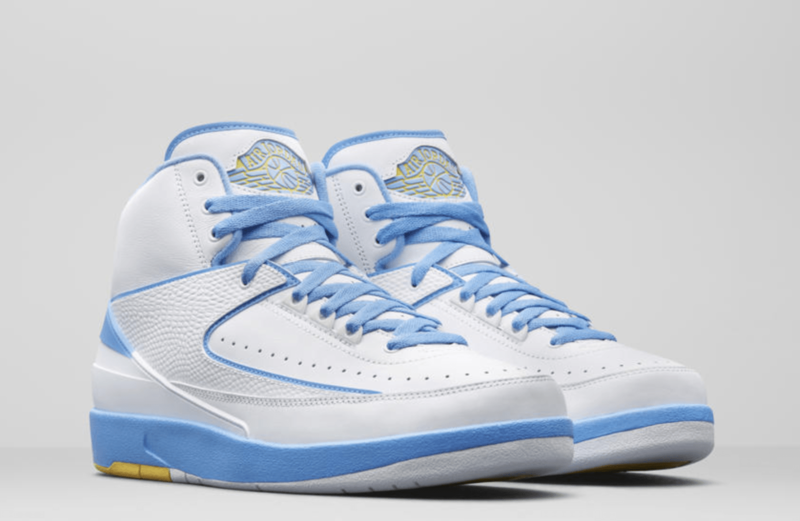 This year, the Air Jordan 2 finally returns in Melo’s PE colorway. Carmelo Anthony’s career has taken him on a small tour of incredible NBA cities. Drafted in June 2003, he began his career with the Denver Nuggets. As a rookie, Anthony put up incredible numbers, earning himself a spot at All-Star weekend festivities, while also breaking records like putting up 41 points against the SuperSonics, the most ever by a Nuggets rookie. Soon, Melo caught the attention of Jordan Brand, who signed him to an extensive sneaker contract. While Carmelo’s line of signature footwear was highly sought-after, his player exclusives were the talk of the town in the mid-2000’s. 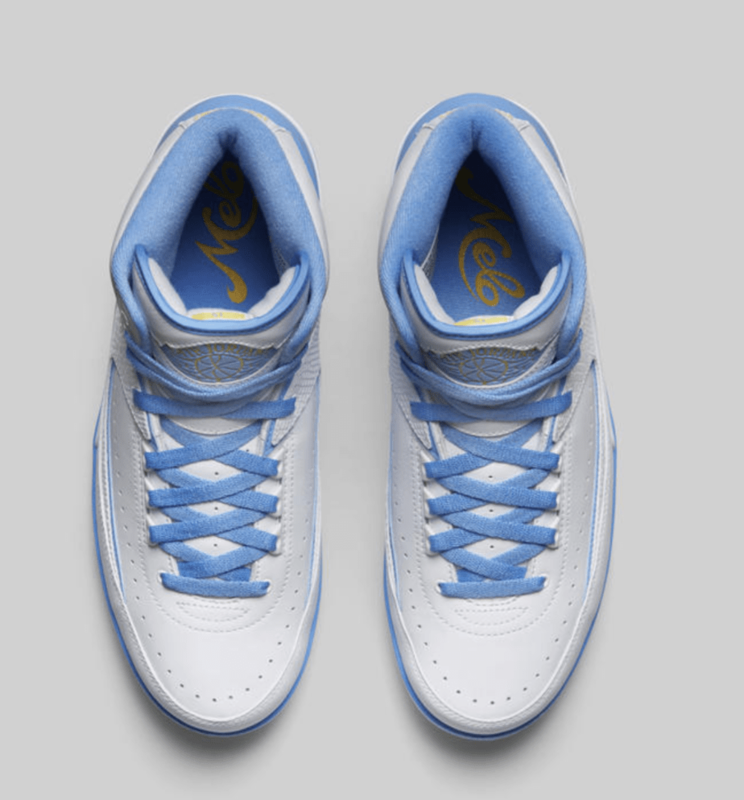 The Air Jordan 2 “Melo” is one of the silhouette’s most famous colorways besides the original. 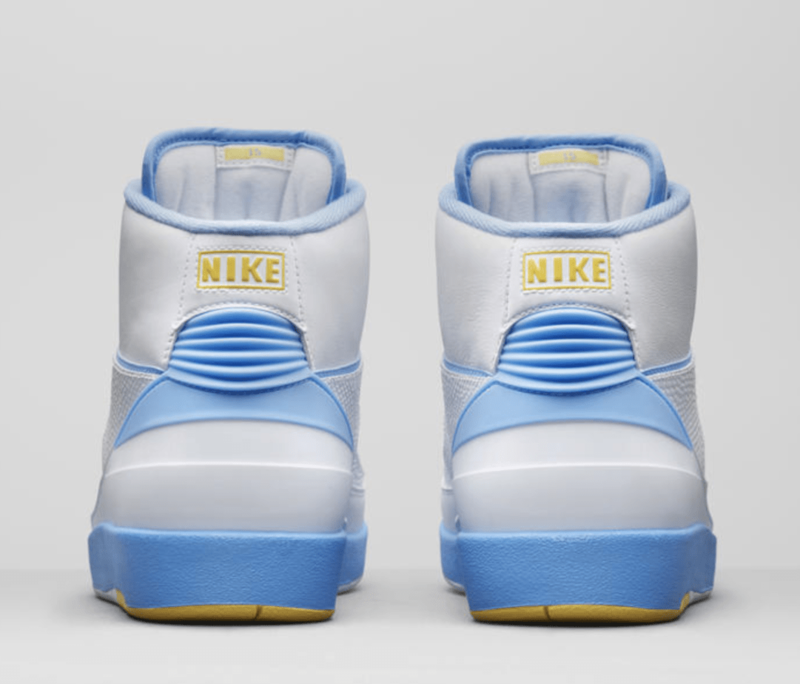 Using the Nuggets signature colors, Jordan Brand crafted one of the cleanest PE sneakers of all time with the Melo 2’s. Beginning with a plain white base, this special edition 2 is marked by baby piping framing the white leather, along with matching laces, inner lining, and heel caps. To add more than blue to the limited sneaker, small hits of bright yellow were added to the branding and outsole to complete Carmelo’s “Nuggets” look. Carmelo Anthony’s signature colorway of the Air Jordan 2 will return on June 9th, 2018. 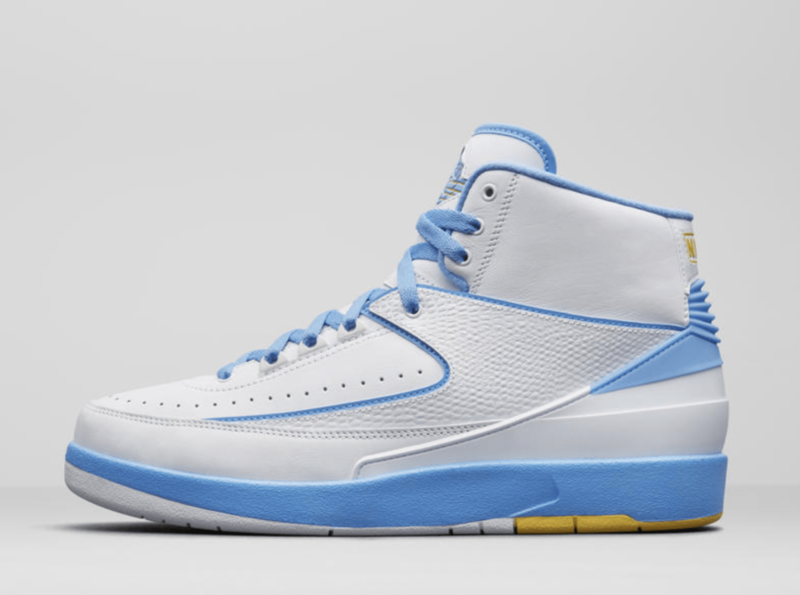 The clean “Melo” look is still highly sought after by avid fans of the Jordan 2, so $190 may seem like a steal when the release comes around. 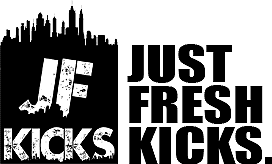 Check out some images of the 2004 pair below for a better idea, and stay tuned to JustFreshKicks for more Air Jordan release dates.